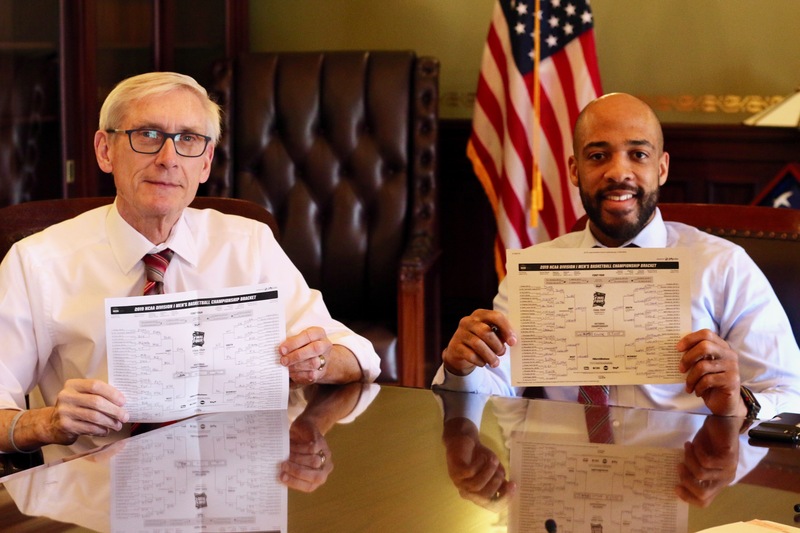 MADISON — Governor Tony Evers and Lieutenant Governor Mandela Barnes recently filled out their 2019 NCAA Men’s Tournament brackets, ahead of today’s first-round match-ups. As a University of Wisconsin alumnus and lifelong Badgers fan, Gov. 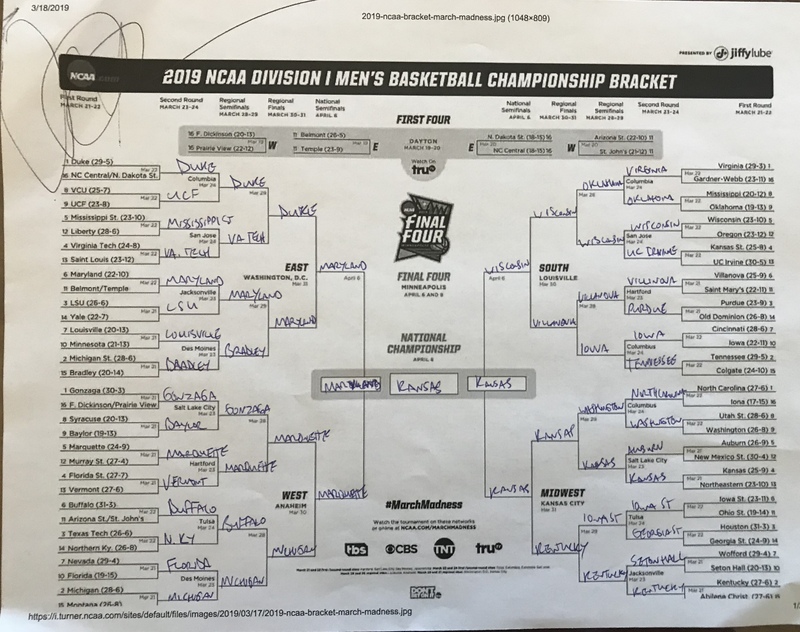 Evers picked the Wisconsin Badgers to beat Duke to win the national championship, with Texas Tech and North Carolina also advancing to the Final Four. Lt. Gov. 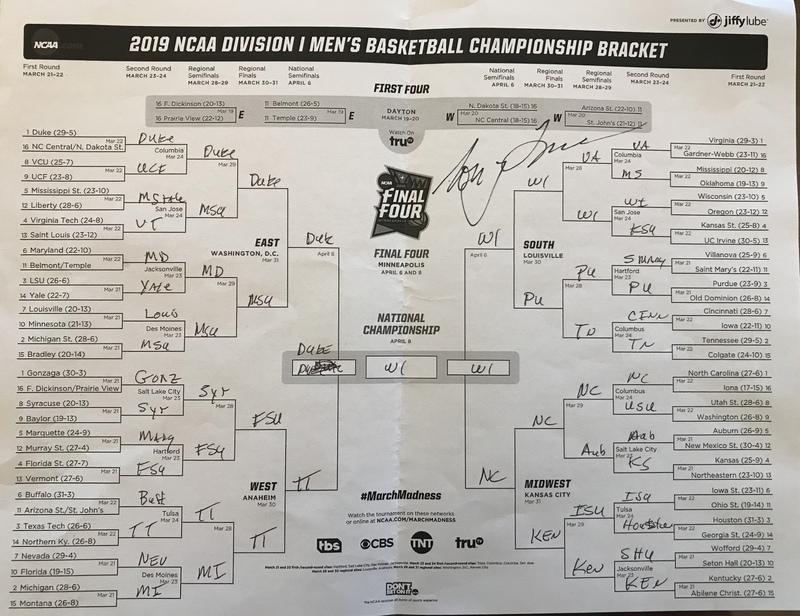 Barnes picked the Badgers and the Marquette Golden Eagles to advance to the Final Four but has Kansas beating Maryland in his title game. This year’s NCAA Men’s Final Four semifinal will be held in Minneapolis April 6th with the title game April 8th.